Chris Woebken uses futuring practices to create props, narratives, and visualizations investigating the impacts as well as the aesthetic and social potentials of technologies. He runs participatory workshops and collaborates with scientists, organizations, artists, and engineers to invent and develop prototypes of future services and products. Woebken is a resident at Eyebeam and also part of the DAMM (Dark Matter Manufacture Factory) collective. He received his MA from the Royal College of Art. 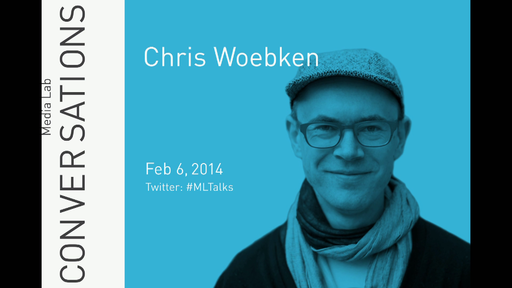 Chris Woebken in conversation with Kevin Slavin. Colleen Macklin in conversation with Media Lab Director Joi Ito.